Cow comfort is paramount to maximizing your dairy’s productivity. The health, production, well-being and longevity of your herd is important to us. We work with each customer to design the best solutions for your cow comfort needs. Foxland Harvestore, Inc. is a leader in the distribution, installation and service of the industries’ leading products. The McLanahan Stall Filler is specifically designed to handle sand. There is no metal-to-metal contact in the presence of sand. It beds freestalls quickly, easily and evenly. Depending on sand type and conditions you can fill more than 100 stalls in 2 1/2 minutes and discharge sand from either side up to 15 feet. On a yard-for-yard basis, the McLanahan Millennium Stall Filler is the best value on the market, and is built to take abuse. The McLanahan Millennium Stall Filler evenly distributes sand into freestalls up to 15 feet away from the machine. This means you can “shoot through” and rebed head-to-head freestalls from one alley. With even distribution of sand and less time required to rebed your barn, you can top-dress your stalls more frequently to maintain a deep sand bed, maximizing cow comfort. The Millennium Stall Filler is available as a Trailer unit or a Truck-mount unit. If you don’t have a tractor available to rebed your barn, the Truck-mounted Millennium Stall Filler is for you! Truck-mounted units are easy to back in and out of the barn, and make it possible to transport large loads of sand longer distances. All hydraulics are safely located outside of the truck cab and are activated by electric over hydraulic controls. Front and rear discharge units are available. The Millennium Stall Filler has a high capacity hopper which is designed to accommodate the largest of payloaders. 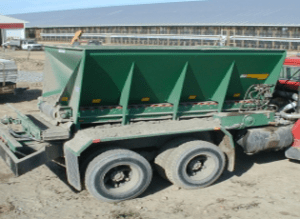 Since you can haul larger loads of sand, you’ll make fewer trips through the barn. Electric over hydraulic controls are included with the Trailer and Truck-mounted units. Our controls allow adjustment of the discharge belt tilt, speed, and direction, as well as feed (hopper belt) belt operation. After more than 20 years of research and development, Animat continues to seek ways to improve cow comfort and productivity by producing the highest quality rubber flooring. Over the years, Animat has invested millions of dollars developing and manufacturing cow mats that meet the specific requirements of today’s dairymen and all the technological advances in the industry today. The cow mats provides unparalleled comfort for your dairy herd and is the one product that comes closest to replicating the natural conditions found in pastures. Animat cow mats is non-porous and made of 100% recycled rubber, making it very stable and easy to clean and disinfect for a healthy environment. 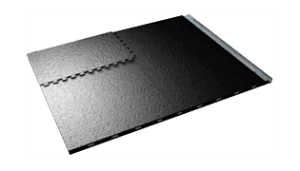 Unlike concrete, and sand bed, stall mats doesn’t absorb liquid or promote the development of bacteria and adapts well to all existing cleaning methods like flushing, alley scrapers, rubber tire scraping and more. 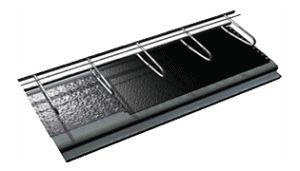 PVC coated guards are durable and easy to clean. If you are searching for a curtain system produced by a leading manufacturer that has the latest technology, a computer line of products, and the fastest turn-around time; then DRI has what it takes to meet these challenges. We offer a high quality 1600 denier 12-ounce Nova-thene curtain that is lock stitched to assure the quality you desire. The UV inhibitor assures a longer curtain life. Our curtains are designed to withstand heavy winds, snow, and seasonal harshness. They are also resistant to bacteria and fungus. EXPERIENCE – DRI’s staff of leaders have a combined total of 120 years of experience in designing, marketing and providing services to the livestock industry. KNOWLEDGE – Because of these years of experience in providing agriculture with livestock buildings and equipment, we know and understand how to help you tackle those tough challenges builders can face when it comes to choosing the right design for a difficult curtain installation. PERFORMANCE – DRI has a long list of satisfied curtain customers in the Midwest who have operations in size anywhere from 100-5000 head. Every customer considers DRI to be the top choice of curtains when they compare us to the top competition, because of our rugged durability and simplicity of operation. SERVICE – Our technicians offer service before and AFTER the sale to ensure that your curtain is always as dependable as we are. 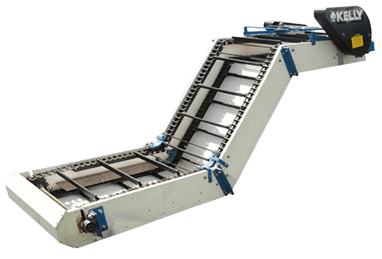 Kelly Poly Conveyors is a regional leader in agribusiness manufacturing wood and poly conveyors and feeders. 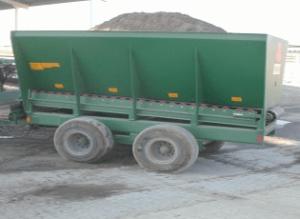 Now available in 18 or 24 Inch Widths with inclines and declines available up to 45 degrees, and a new design for various applications including high volume center discharge silo unloaders. A popular choice in feedlots, pastures, and dairies, the WaterMaster Series from Ritchie features a heavy one-piece polyethylene body that holds up even under the weight of cattle.